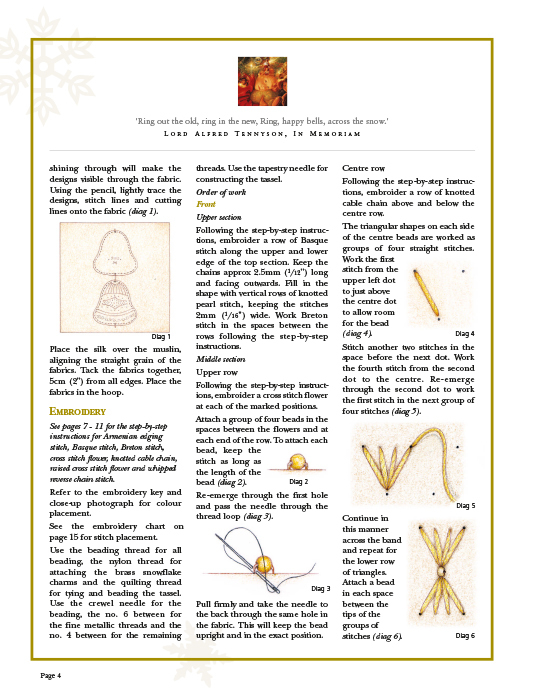 A perfect festive season decoration. 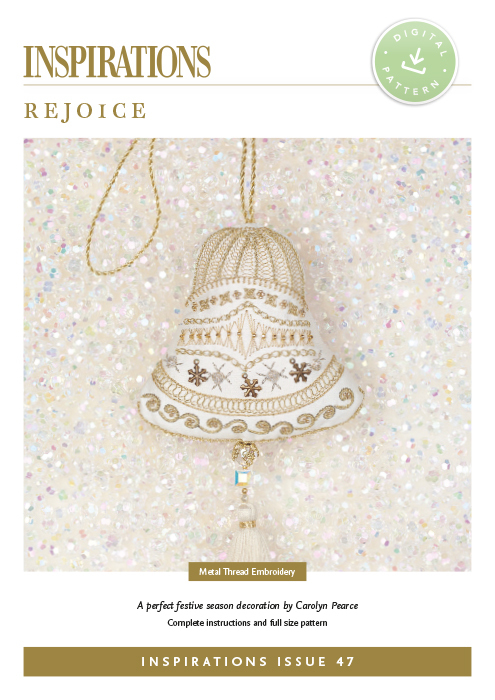 Gleaming metallic threads, glistening beads and brass charms all combine to create this lavish Christmas bell. 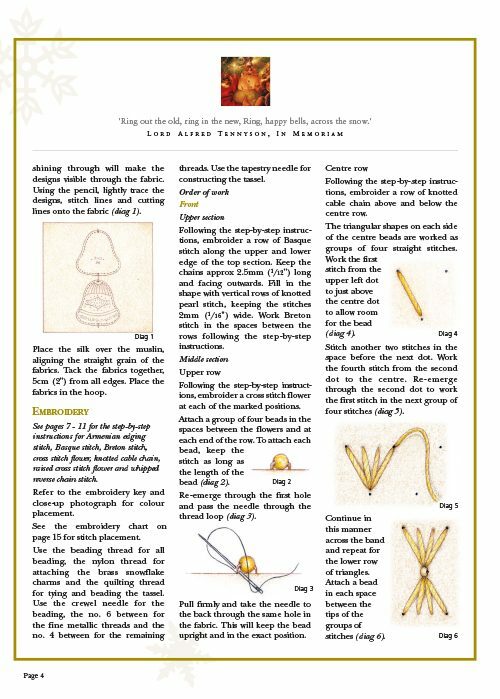 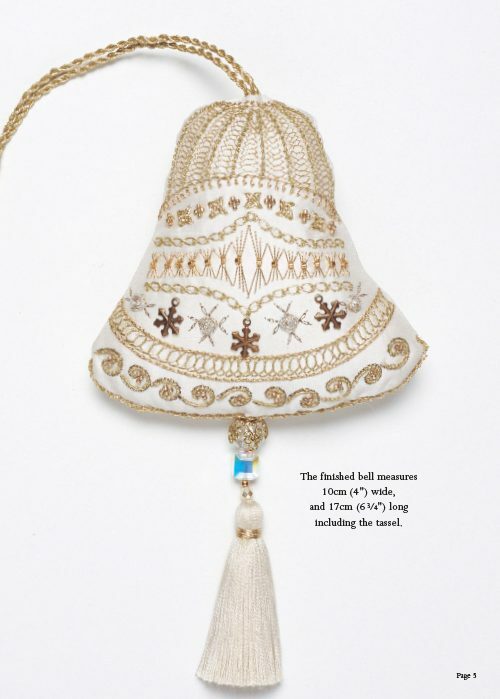 Worked onto Thai silk in a myriad of stitches, both simple and complex, this elegant bell will make a perfect decoration for the festive season. 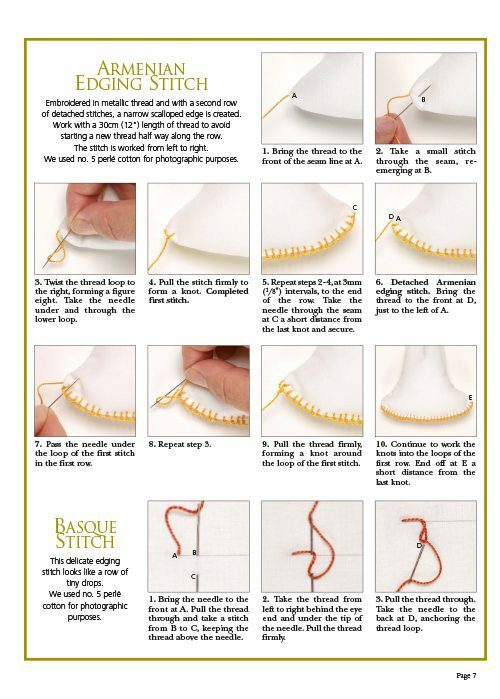 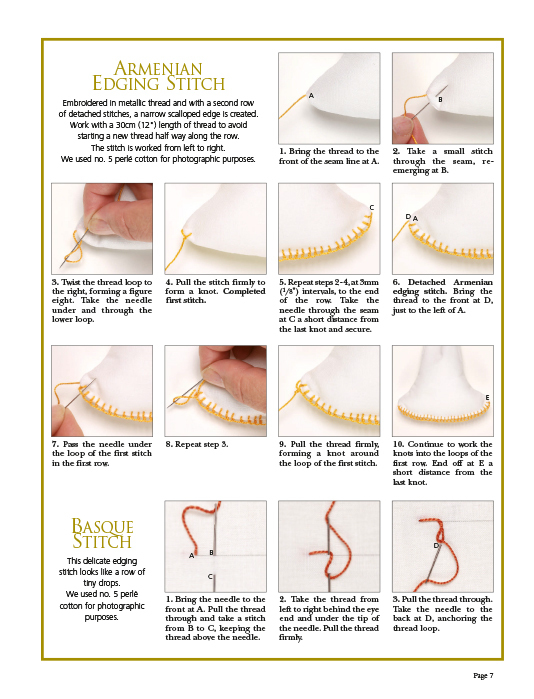 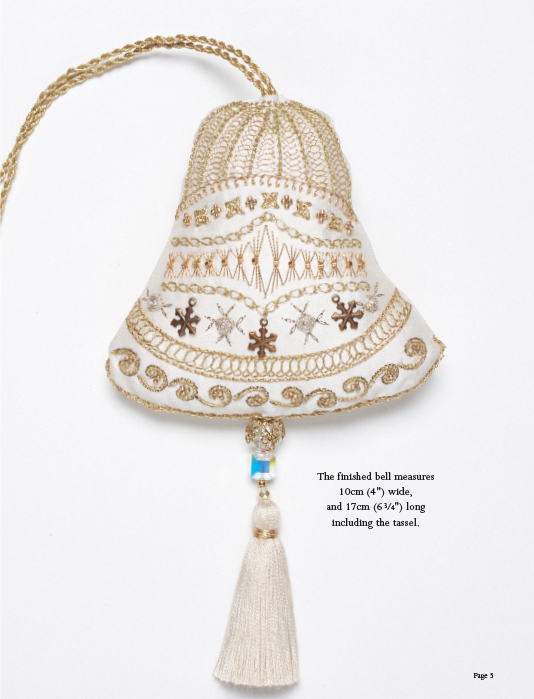 The bell is finished with an ornate beaded tassel and hangs from a twisted gold cord.